DA NANG (VNS) —The country's first one-stop shop Administrative Centre was inaugurated in downtown Da Nang yesterday following four years of construction. 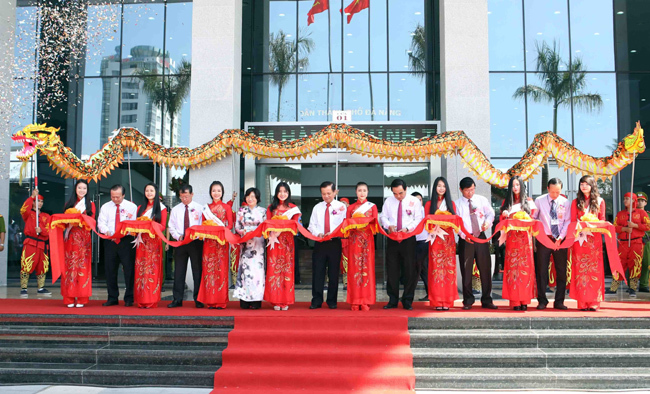 The VND2.13trillion (US$100 million) building is the first of its kind in Viet Nam, housing the city's 21 departments and 1,600 civil servants in one landmark facility. 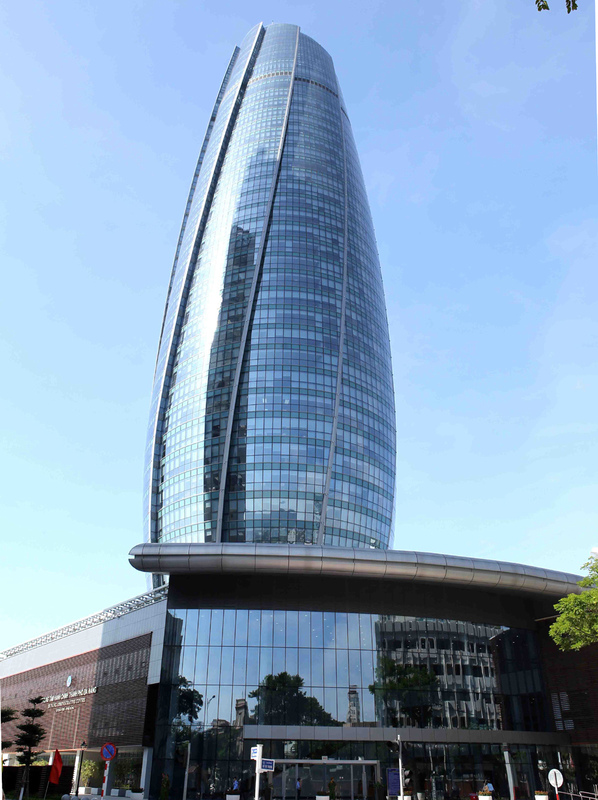 The 36-storey structure also spans 65,000sq.m and stands 166.8m tall, making it the highest office building in central Viet Nam and the Central Highlands. "It's the first ever smart building in the country with the aim of providing an one-stop shop public administration service and make administrative processes easier for residents, investors and businesses," said the city's People's Committee Chairman Van Huu Chien. "The building also symbolises Da Nang's status as a young and dynamic city at the centre of the region's cultural and economic development," said Chien. The building also reserves 408sq.m space for public administration services with the ability to process 930 different administrative procedures. Designed by Korean firm Mooyoung Architects & Engineers, the building's shape resembles a lighthouse, while the base and roof top help create an image of a sail heading out to sea. The building's launch coincides with the city's earlier roll out of its e-Government system that aims to improve the transparency and efficiency of State agencies. It includes a Metropolitan Area Network (MAN), wireless internet, a data centre and a centre for human resource training and research on IT applications. Da Nang recently topped the Provincial Public Administration Reform Index for 2013, and has held the top spot on the country's Information and Communication Technologies (ICT) Index for six consecutive years.